Whenever the weather takes a turn for the cold, I find myself dusting off my collection of good-for-the-soul soup recipes. 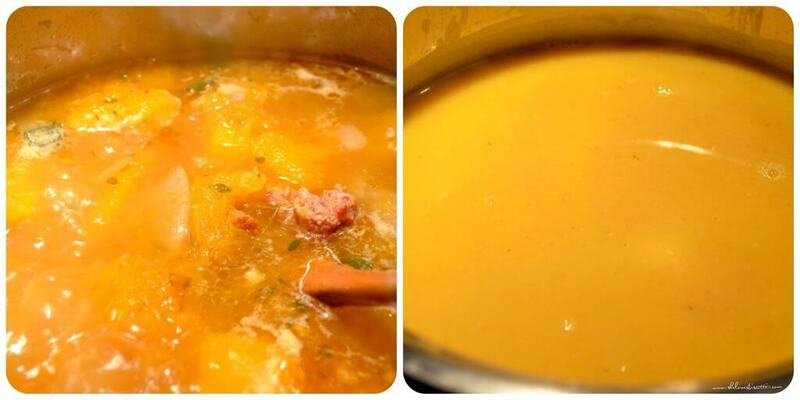 I’m happy to add this Creamy Italian Sausage Squash Soup to my collection. Nothing says autumn like apples, pumpkin and squash. 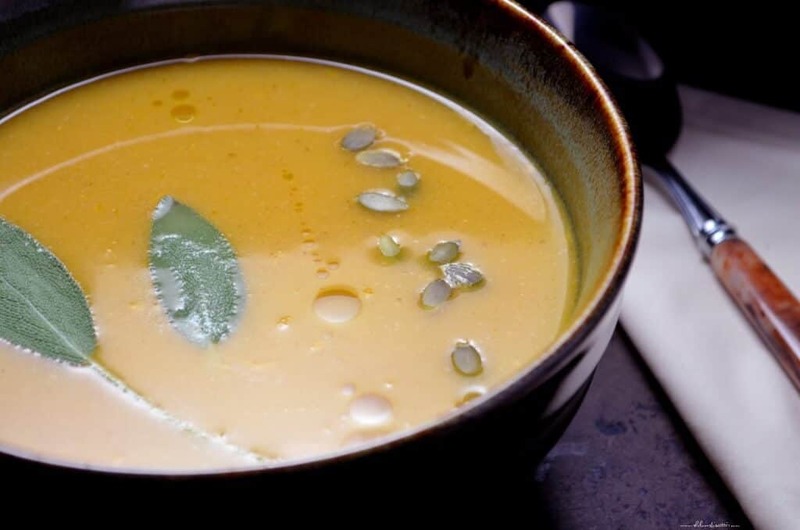 The butternut squash, in particular, is a favorite ingredient of mine for dishes like this, and is actually the starting point for this Creamy Italian Sausage Squash Soup. 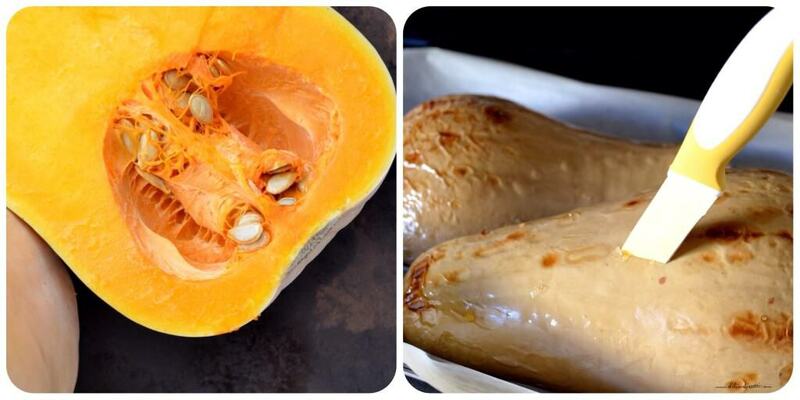 Fun fact about the butternut squash: it’s actually a fruit! They give a sweet and nutty flavour, and they can easily be roasted, grilled, mashed or even pureed. For the Creamy Italian Sausage Squash Soup, begin by cutting your squash in half, seasoning it and placing in the oven, upside down. Leave it in there for an hour. Once you can easily slice through the pulp with a knife, you are ready to proceed to the next step. Allow the butternut squash to cool down, then scoop out the pulp and set it aside while you combine the rest of the ingredients, which include Italian sausage. Let the ingredients simmer together for a little while. Then all you need to do is blenderize everything together and pass it through a sieve to obtain a smooth consistency. Nutrition Tip: Butternut squash is a Vitamin A powerhouse! It’s also a great source of fiber, potassium and magnesium. As an added bonus, this “fruit” is also low in calories, so go ahead and replace your potatoes with this super food! And remember, the seeds are not only edible, but also a great source of plant protein. (One quarter cup of seeds contain almost 3 grams of plant protein). I came across this recipe for Creamy Italian Sausage Squash Soup about a decade ago, while I was watching Emeril Live on the Food Network. (I still enjoy and love to watch The Food Network, it really is a great source of inspiration). The episode was called hearty soups and featured some soups that would eventually take their place among my favorites. Follow this link for the original recipe. As usual, I played around with the list of ingredients. I switched up the spices, reduced the amount of cream, and, of course, drizzled some olive oil just before serving (it is an Italian recipe, after all!!). This is also my go-to soup for holiday entertaining. It can easily be made in advance for any occasion and heated gently just before serving (if I am using the cream, I would add it in at this point). I hope this recipe for Creamy Italian Sausage Squash Soup will also become one of your everyday (and holiday) go-to soup recipes. Enjoy! 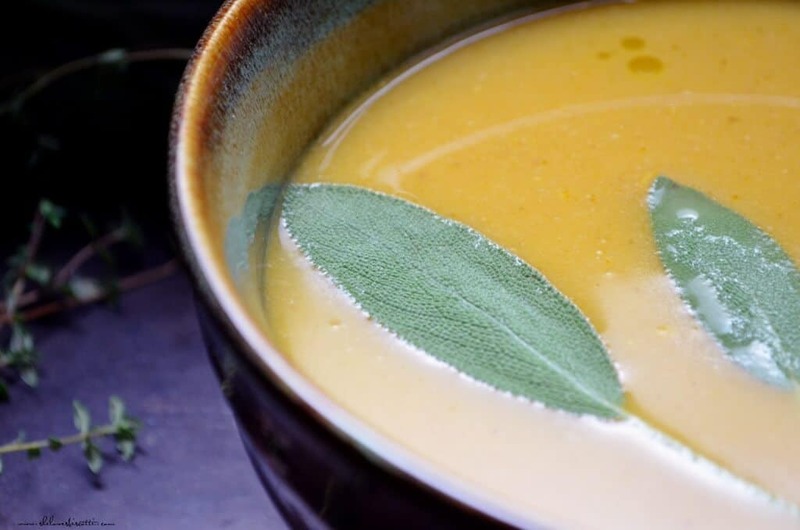 Whenever the weather takes a turn for the cold, I go to my collection of good-for-the-soul soup recipes like this Creamy Italian Sausage Squash Soup. Cut squash in half; remove the seeds and strings. Season the insides with 1 tablespoon of olive oil, salt and pepper. Place on baking sheet with cut-side down. Bake between 45-60 minutes or until you can easily slice through the pulp with a knife. Scoop out the flesh and discard the peel. Place a large saucepan over medium-high heat. Add 1 tablespoon of olive oil, and sauté the sausage, stirring frequently for about 5 minutes. Add onions and continue to sauté for about 5 minutes. You will notice that the onions will begin to caramelize. Add the garlic and the herbs, and cook for another 1-2 minutes. At this point you will add the cooked squash along with the broth. Turn the heat to high to bring to a boil. Reduce the heat and allow to simmer for 30 minutes. Stir occasionally. Puree the soup with a hand held immersion blender (or use a food processor). Strain the soup with a fine meshed strainer into a clean saucepan. Add the cream just before service. Adjust seasonings if necessary. Garnish with seeds and drizzle of olive oil. If desired, you can easily add other vegetables to this soup (carrot, celery, or even a potato).